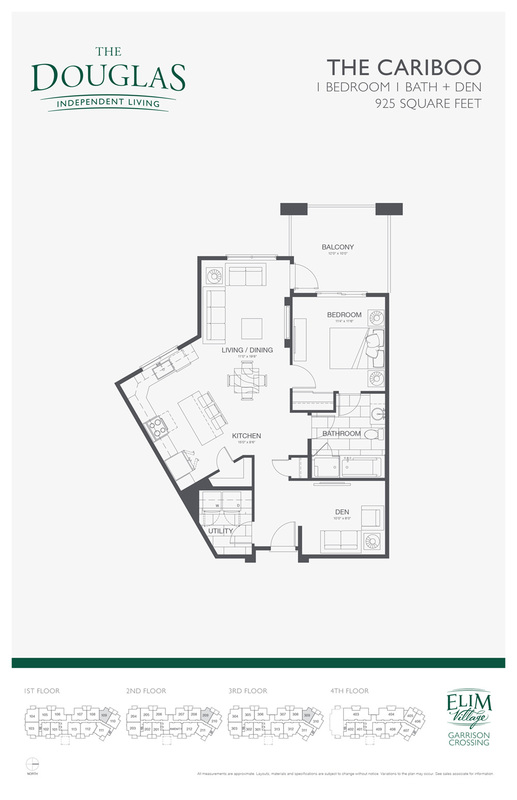 The exciting first phase of the site is The Sequoia, a four storey independent living building with 60 condominium suites with heritage-style exteriors, blending into the distinct character of Garrison Crossing. 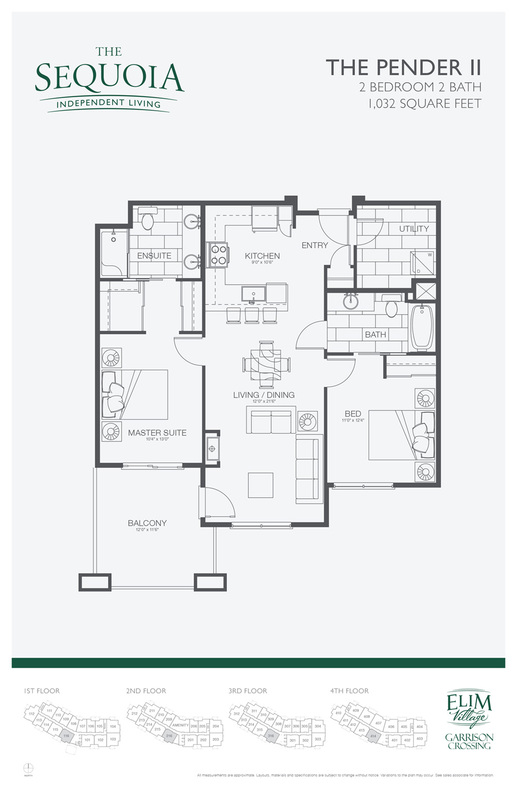 We offer 13 different floor plans to choose from, ranging from 718 to 1,339 square feet, designed to optimize comfort and functionality. 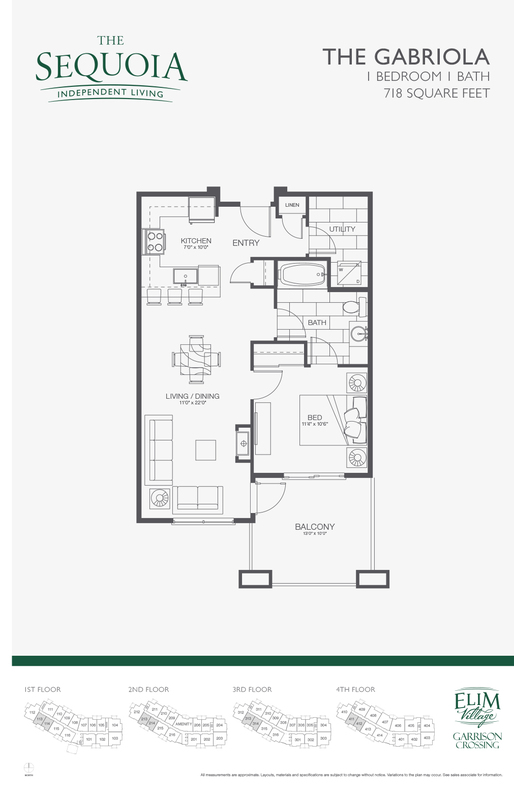 Homes are now move-in ready! 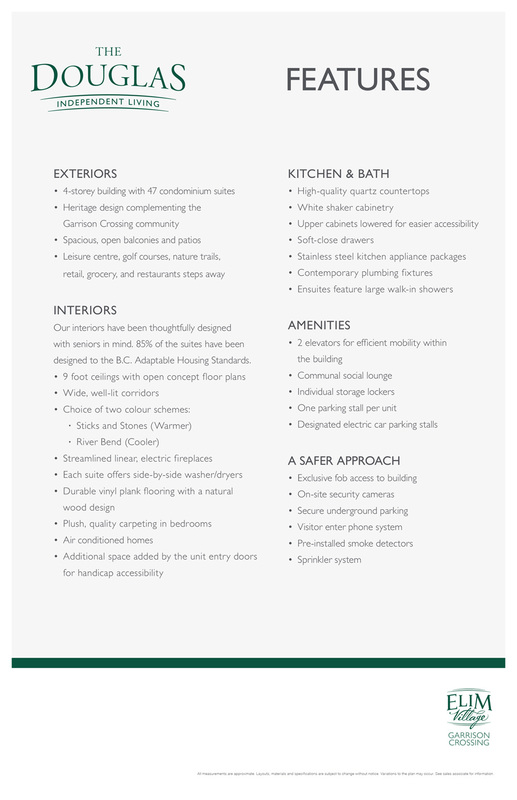 See the key plan below to find out which suites are still available. 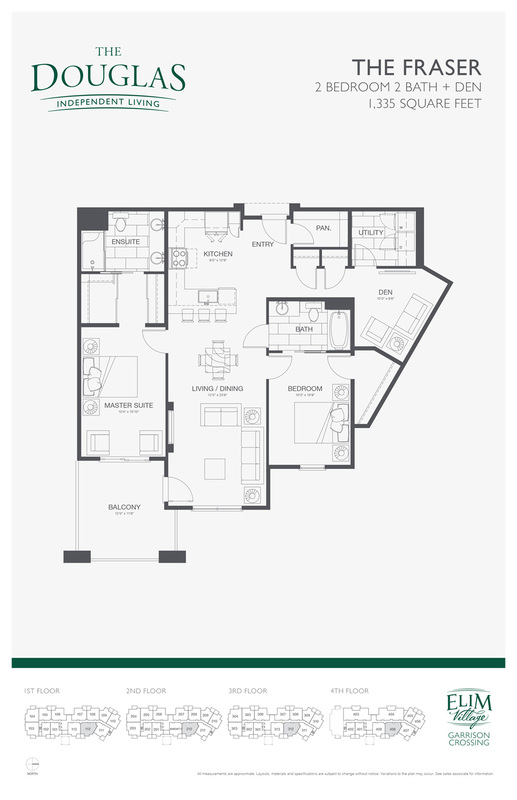 Call the Presentation Centre at 604.769.0022 to find out how you can become a member of the community. 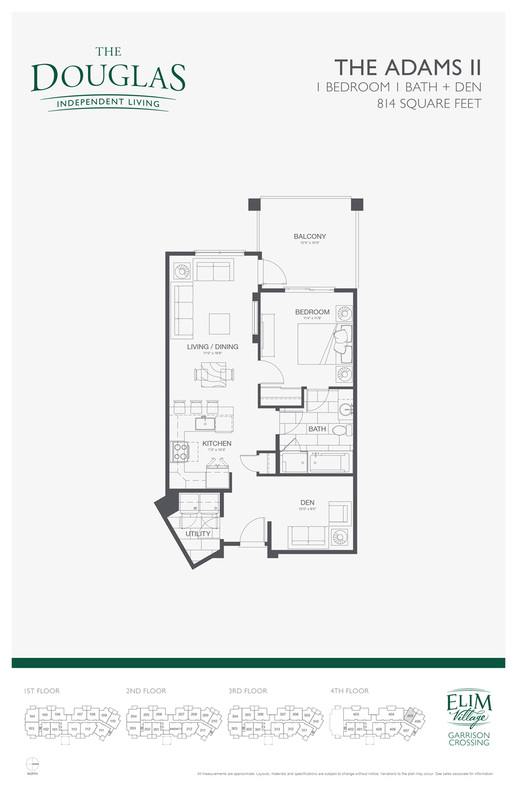 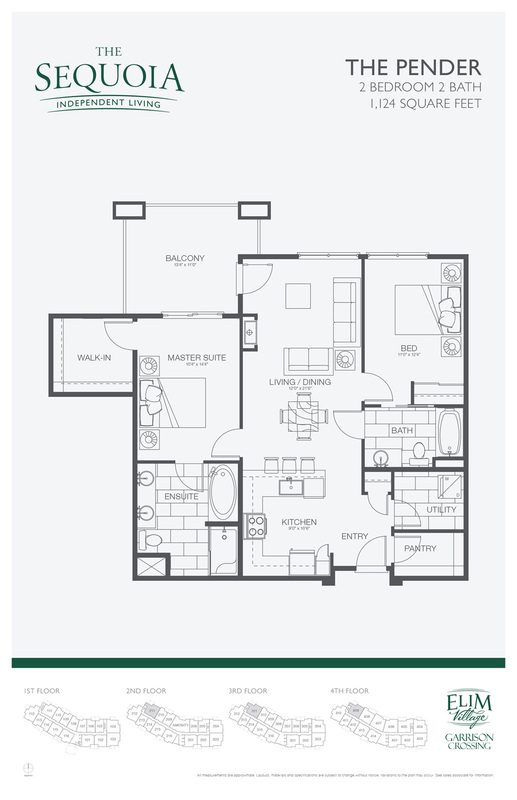 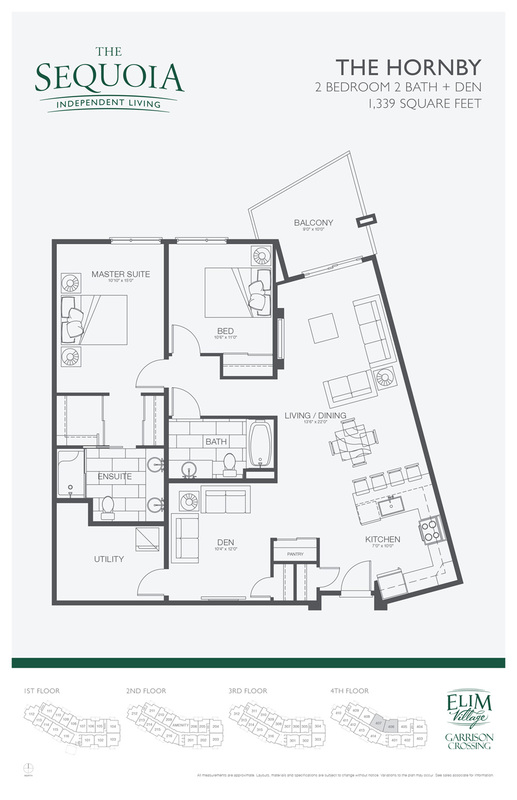 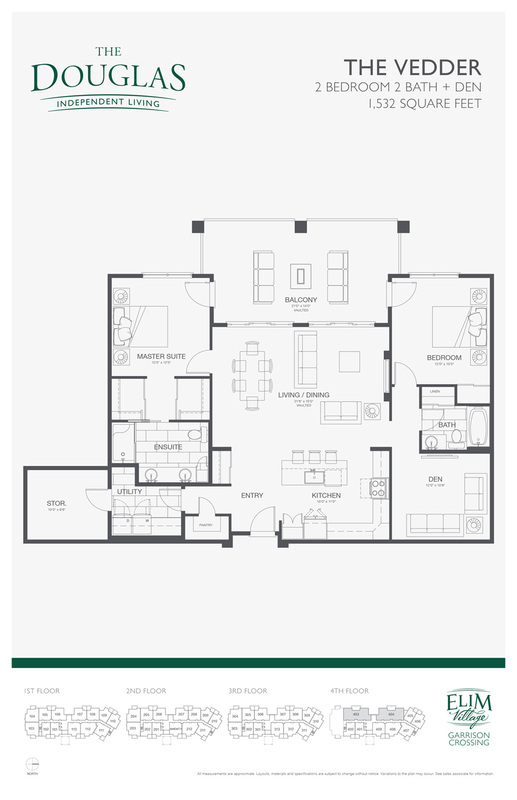 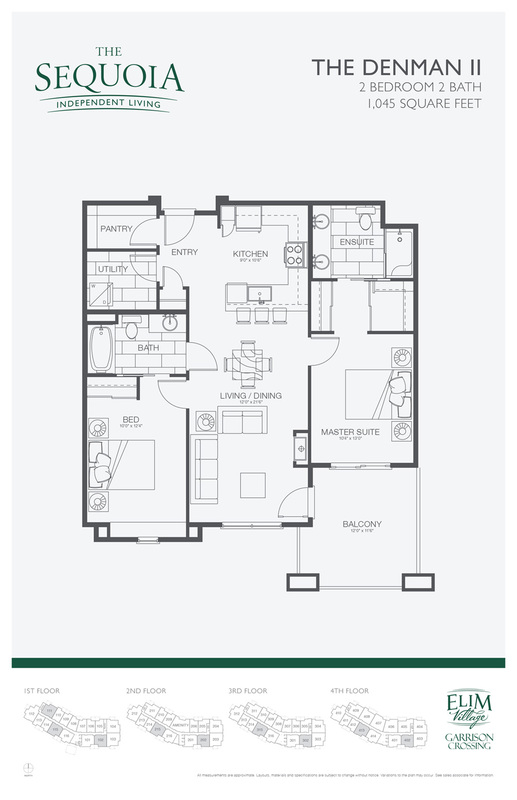 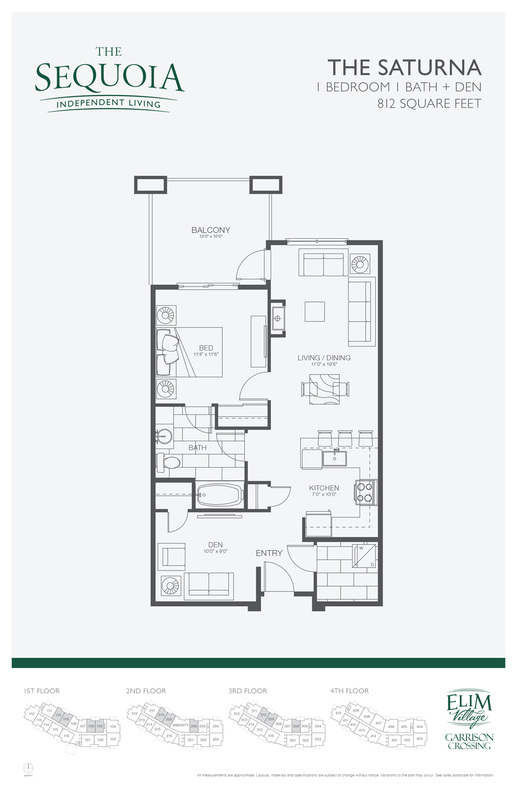 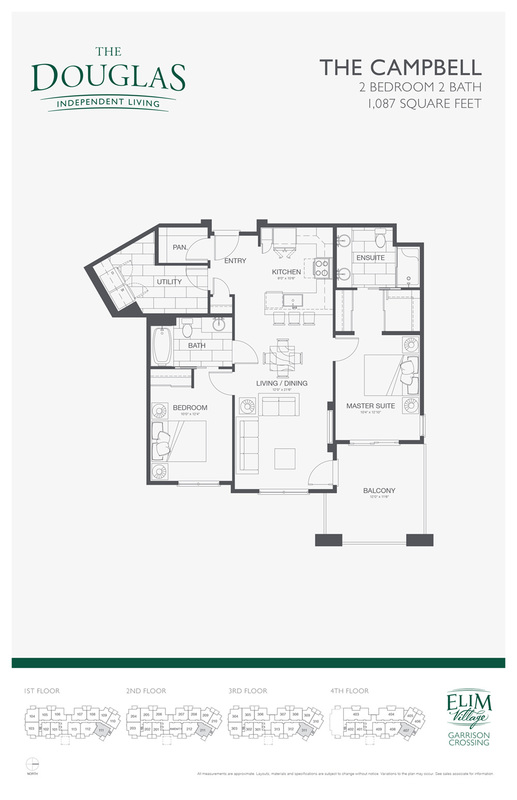 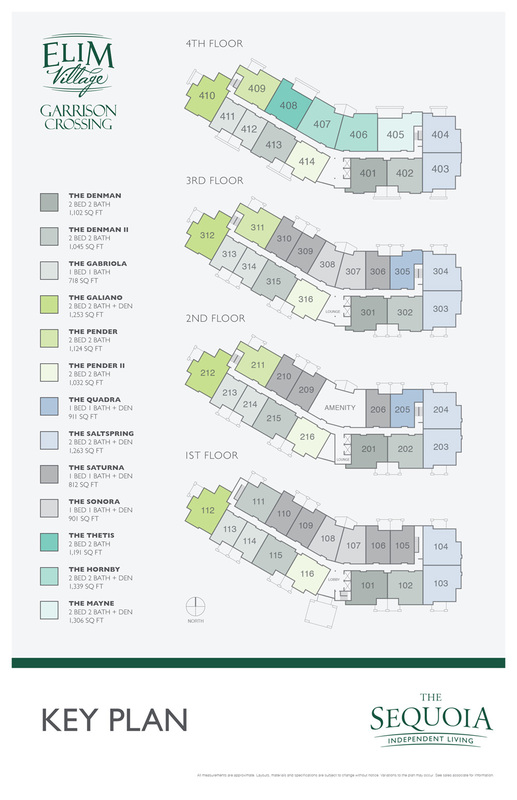 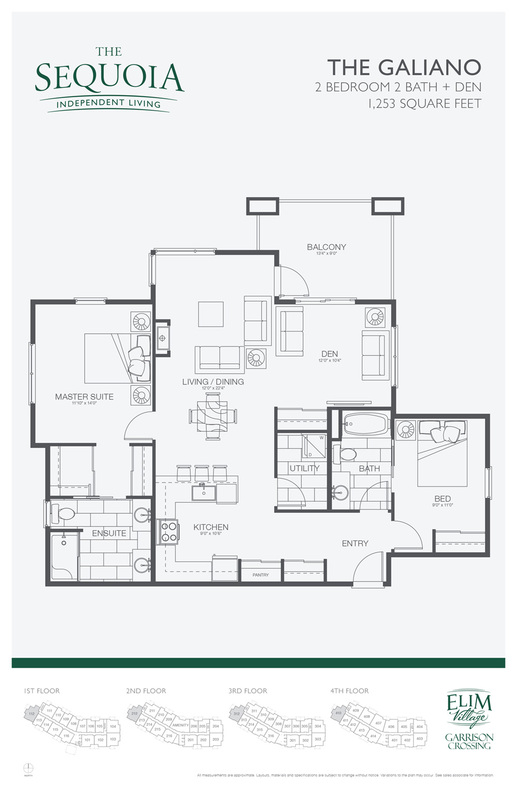 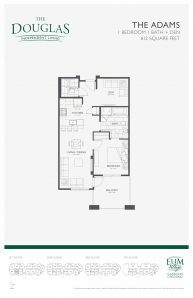 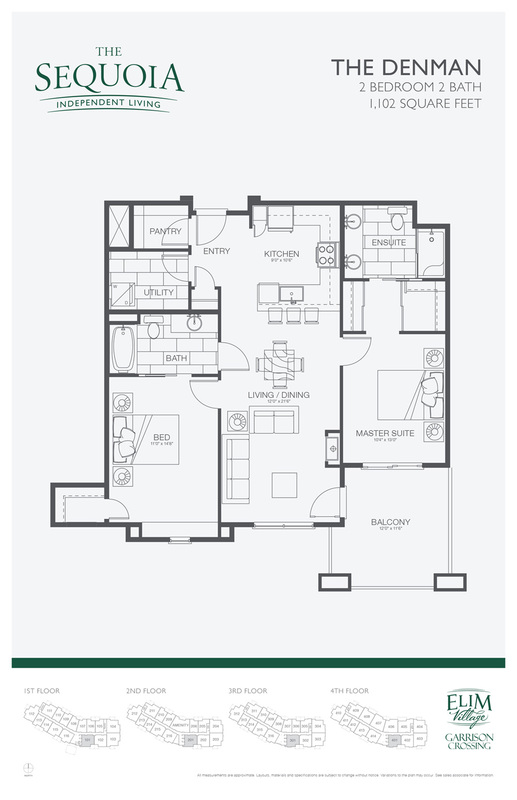 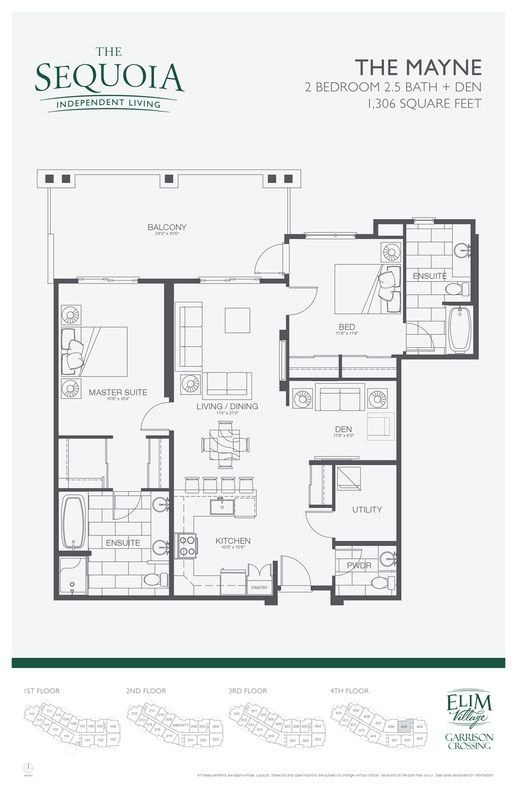 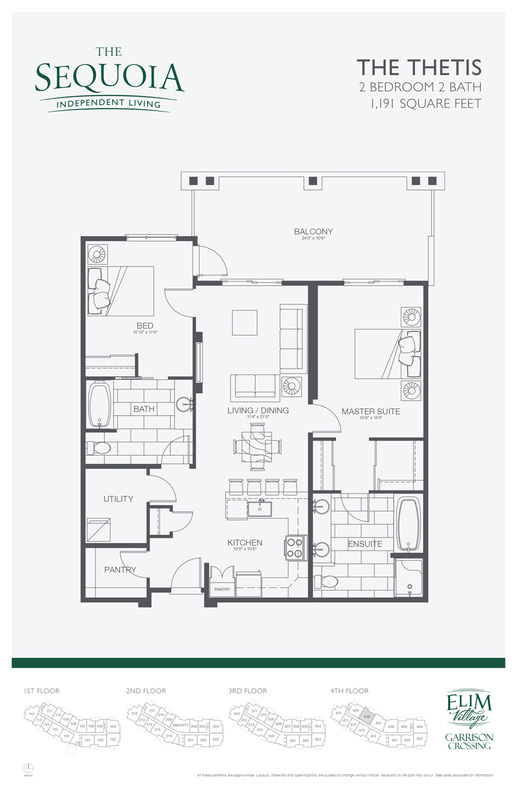 There are 13 different floor plans that are available to choose from. 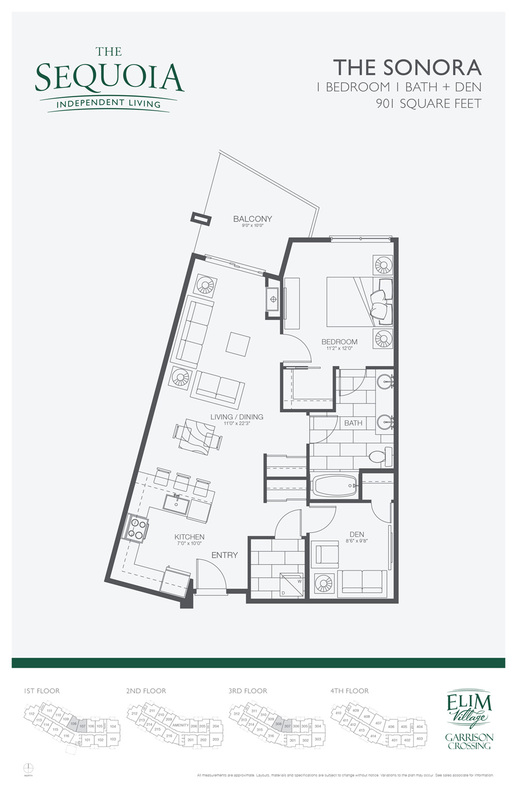 We offer suites with a crisp, clean style, ranging up to 1,339 square feet. 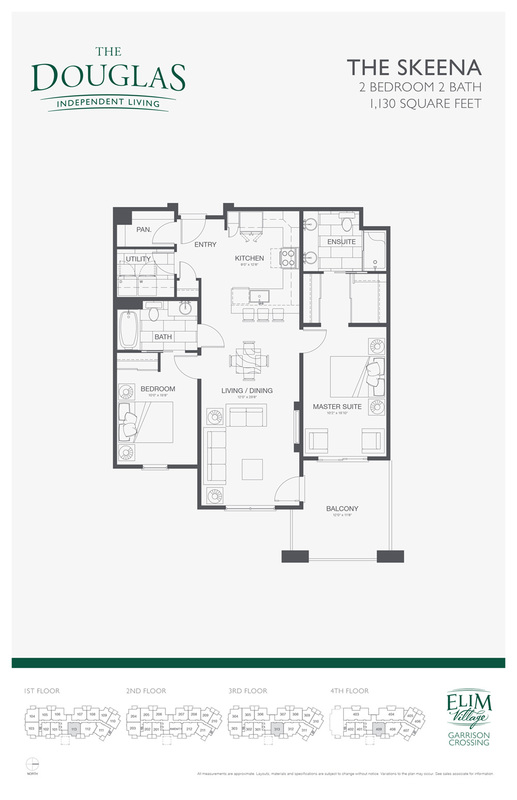 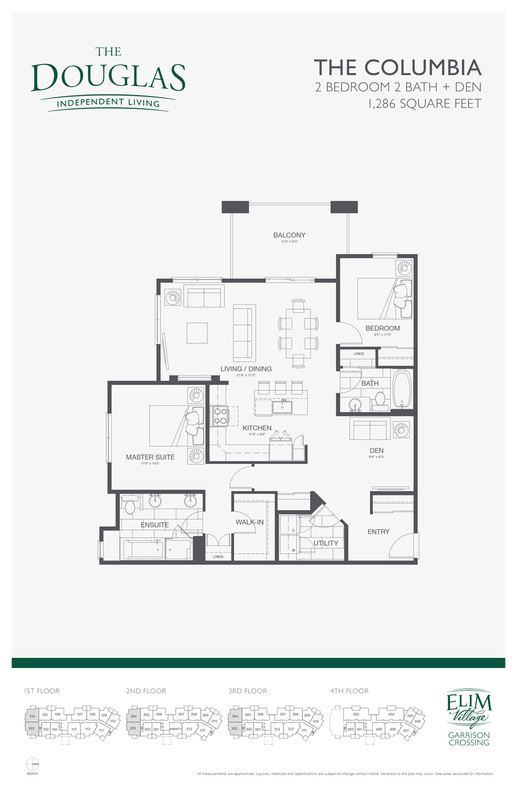 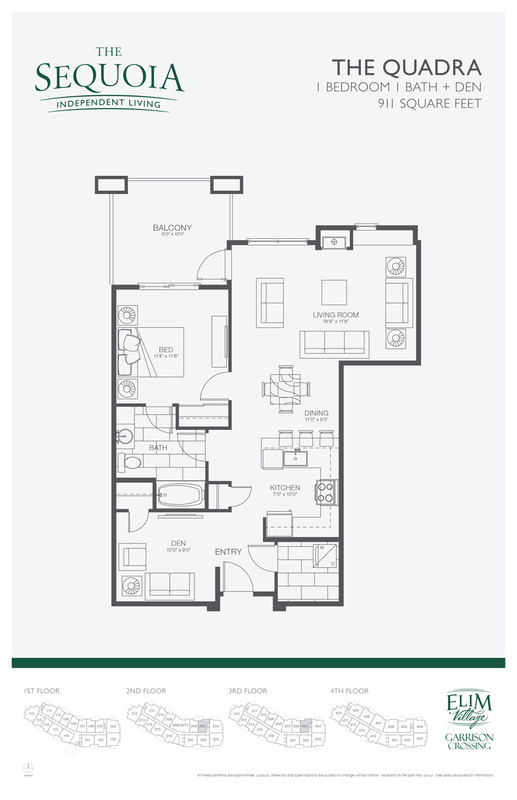 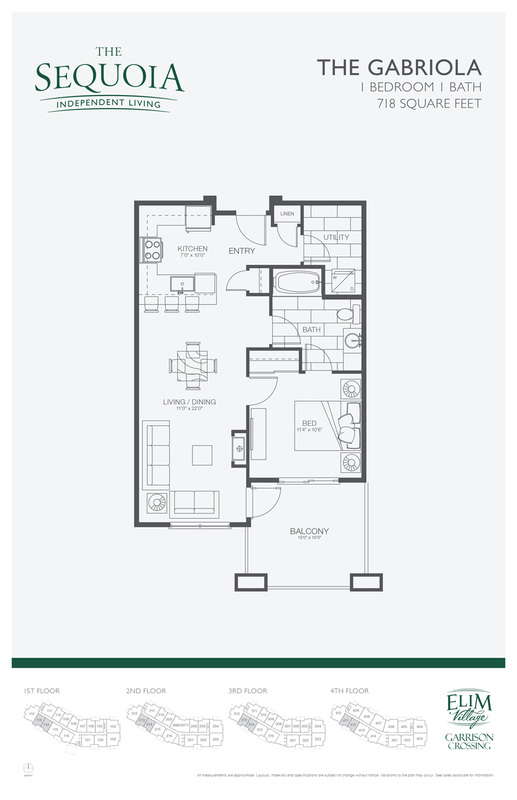 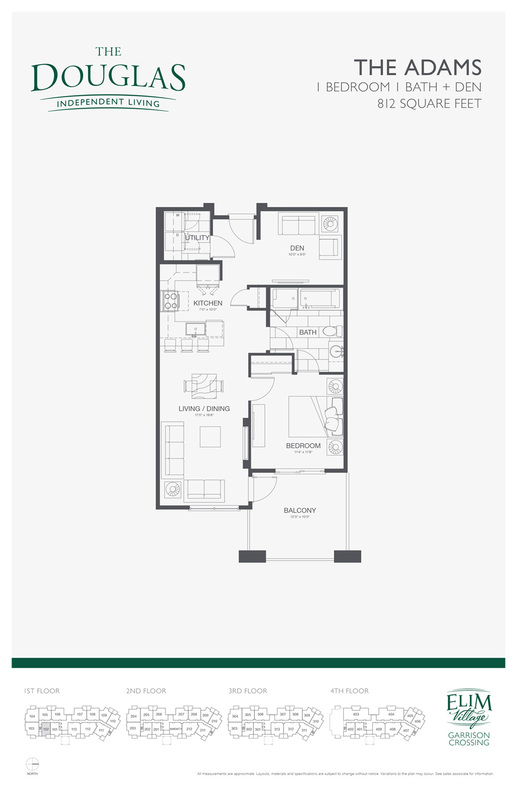 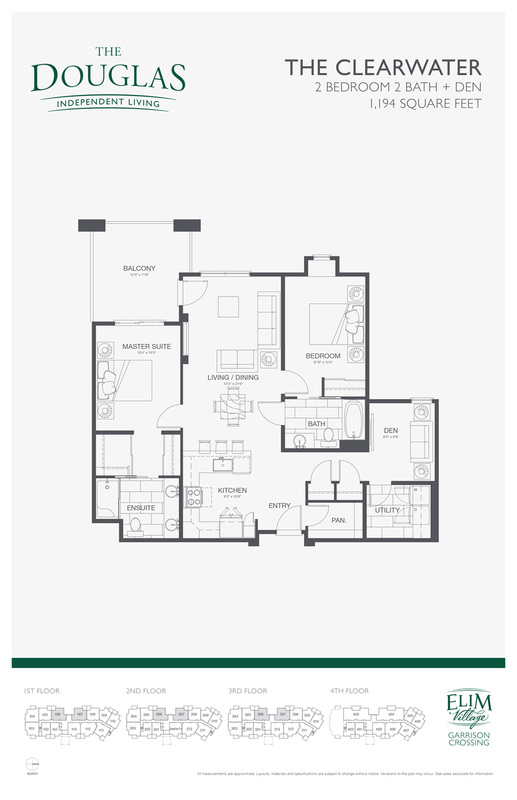 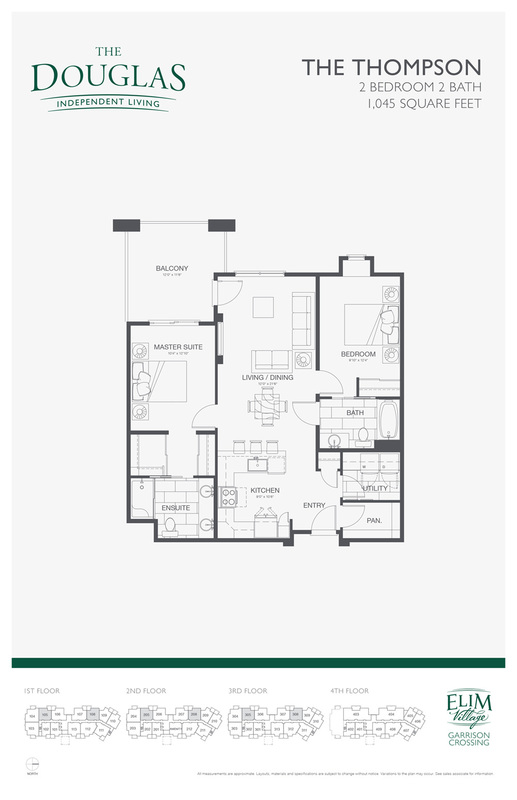 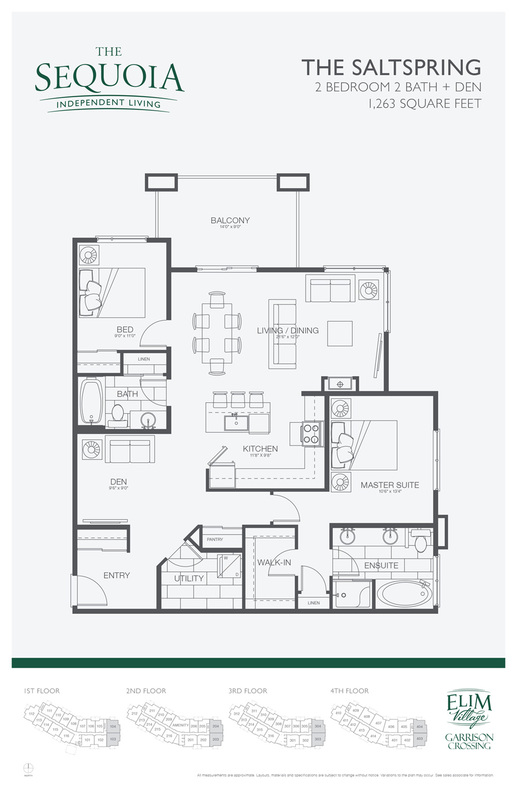 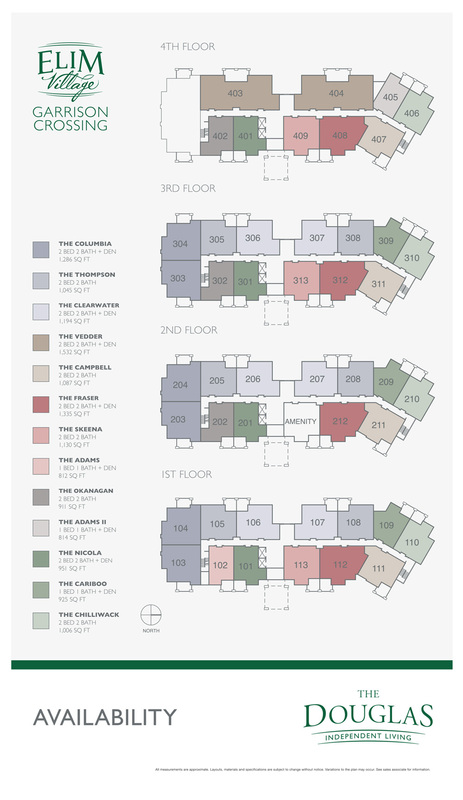 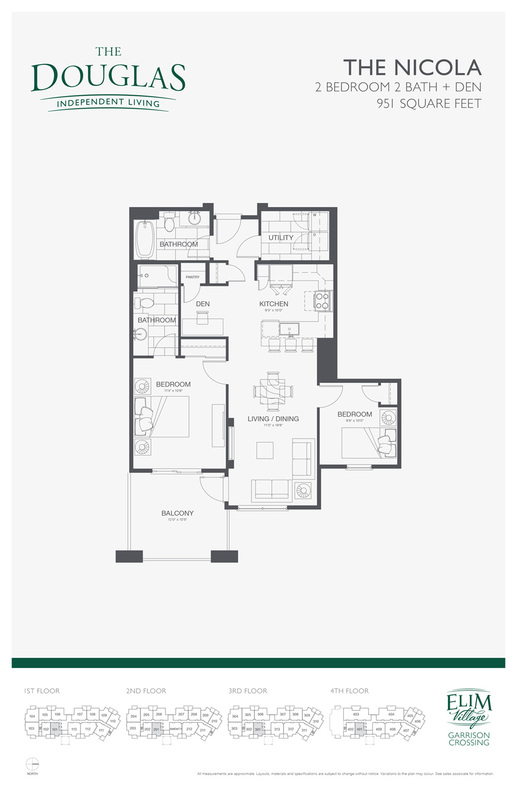 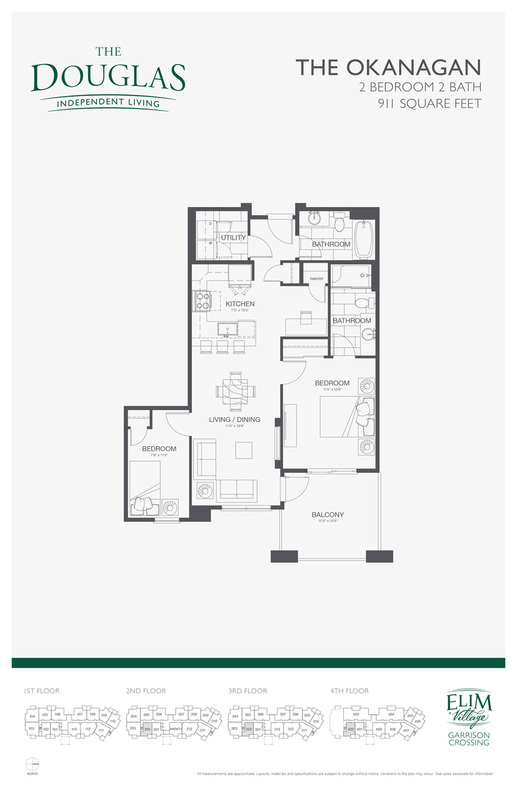 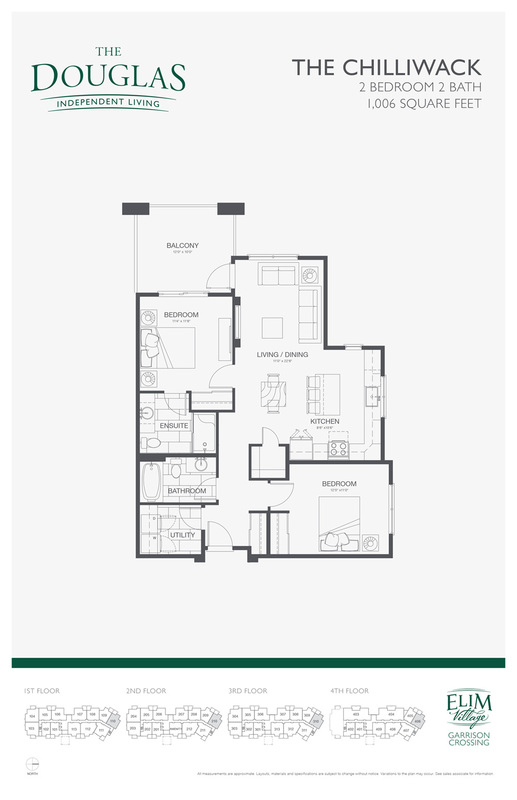 Click on the desired floor plan to see an enlarged image. 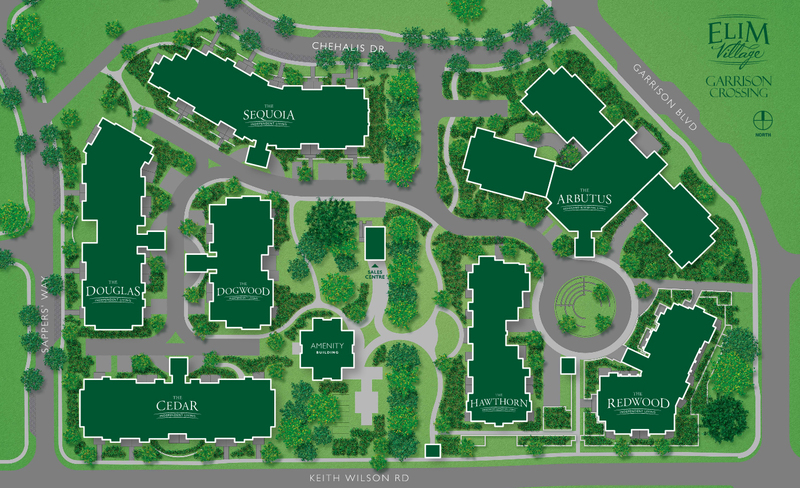 Situated on the corner of Keith Wilson Rd and Garrison Blvd.